For example, in conference rooms I’m often cold so I tend to cross my arms. I’m well aware that this can come off as aggressive or that I’m not caring, so I tend to force myself to keep them uncrossed. I’m essentially lying. When you try to read someone’s body, you need to consider a lot of details – including the environment. 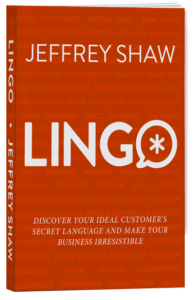 Our digital world also has in impact on our body language, and there are things that even a book written ten years ago can’t take into account. Like when I’m speaking, a lot of times I see people with their heads down and looking at their phones. That can seem like they aren’t paying attention. I started to notice that people would come up to ask questions and they were reading from their phones. It turned out people weren’t distracting themselves, they were actually more engaged. They were taking notes on their phone. I was trying to read their body language, creating assumptions, and I couldn’t have been more wrong. To dive deeper into this topic for today’s episode of Creative Warriors, I have brought in a body language expert: Mark Bowden. 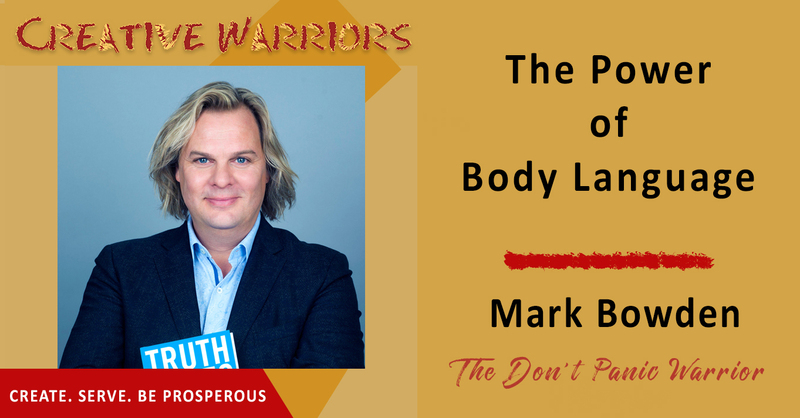 Mark discusses his new book, Truth and Lies, as well as the myths many of us have about body language. He dives into the complexity involved in this subject, and how you can accurately start trying to “read” people. Download this episode today to learn the truth about what people’s actions are telling you. Lying and telling the truth are the two most important social skills we have. People tend to jump to negative conclusions about body language. All body language is a display of power, or a response to a display of power. When you need to make positive contact with people you don’t know, you need to create trust and credibility as quickly as possible. Try to use an open palm when you point, it will be better received. Often times people project their beliefs on other people’s body language. Suspending your own judgment will allow you to understand a situation fully. Always listen to your gut instinct if you think something is wrong. Try to show up less indifferent to the world around you. Manipulation is not always a bad or selfish thing.